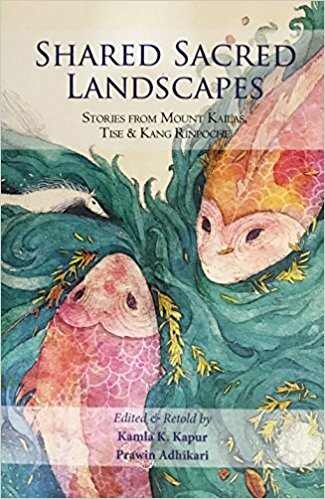 In this collection of folk stories from the Himalayas, retold and edited by renowned writers Kamla K. Kapur and Prawin Adhikari, the reader is taken on an enchanted journey through the shared sacred landscapes of India, Nepal and Tibet/China. From Magical flying horses and battles with mountain demons to the trials and tribulations of everyday people and pilgrims, the folk narratives offer a glimpse into the rich cultural tapestry of this unique landscape. Recorded during a collaborative multidisciplinary study over a three-year period, these stories speak to timeless questions of love, sacrifice, heartbreak, redemption,and the search for meaning in life. The collection draws inspiration from the holiest mountains, called Kailas (and also known as Tise and Kang Rinpoche), and Lake Manasarovar, two important sacred sites located in Western Tibet. The stories speak to diverse and syncretic religious beliefs and everyday practices that can be found throughout the region and beyond.